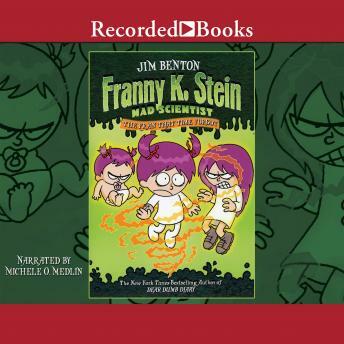 In this zany episode of Jim Benton's New York Times best-selling series, pint-sized mad scientist Franny K. Stein dreams up a time-reversing cake plate that lets her "have her cake and eat it too." As the principal honors her, however, people laugh at her middle name, Kissypie. But when Franny timetravels to change it to Kaboom, she accidentally turns Teenage Fran into an evil villain. Now Franny Kissypie must stop Franny Kaboom before it's too late.